Shuffl Modular Sofa designed by Anne Boysen, introduces a soft seating solution for the workplace. Shuffl answers the needs of interiors looking for flexibility, storage and seating comfort. Shuffl modular sofa is ideal for the office, university or library. Shuffle Modular Sofa is comprised of several modules which can be configured in different ways. Shuffl introduces a boost to one creativity. It is like an asymmetric landscape with plant boxes that function as both a table and room divider. Within the table module there is storage space where you can keep magazines, papers or stationary if required. The carcass, plant boxes and tables are constructed in Oak. 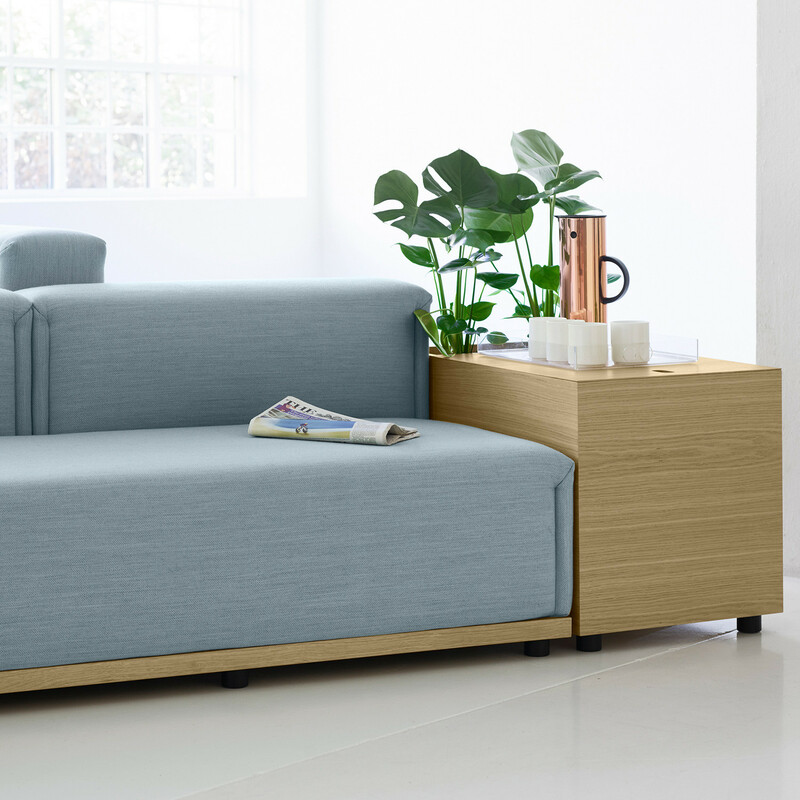 The back of the Shuffl sofa comes available in different heights. Shuffl has a nice elegant special detail on the upholstery, a thick crease which gives the soft seating its uniqueness and establishes the mood. This also emphasises Erik Joergensen’s expertise with upholstery. Anne Boysen designed Shuffl Modular Sofa to exhibit a high level of craftsmanship, which is why she contributed a long time focusing on the details. The upholstery crease was just one of the details that was important to her as it sets the tone for the entire expression of the sofa. The crease is vertical and highlights the rhythm of the sofa, along with the tight lines. It creates a sense of connectedness. View more furniture from Erik Joergensen Furniture. You are requesting a price for the "Shuffl Modular Sofa"
To create a new project and add "Shuffl Modular Sofa" to it please click the button below. To add "Shuffl Modular Sofa" to an existing project please select below.